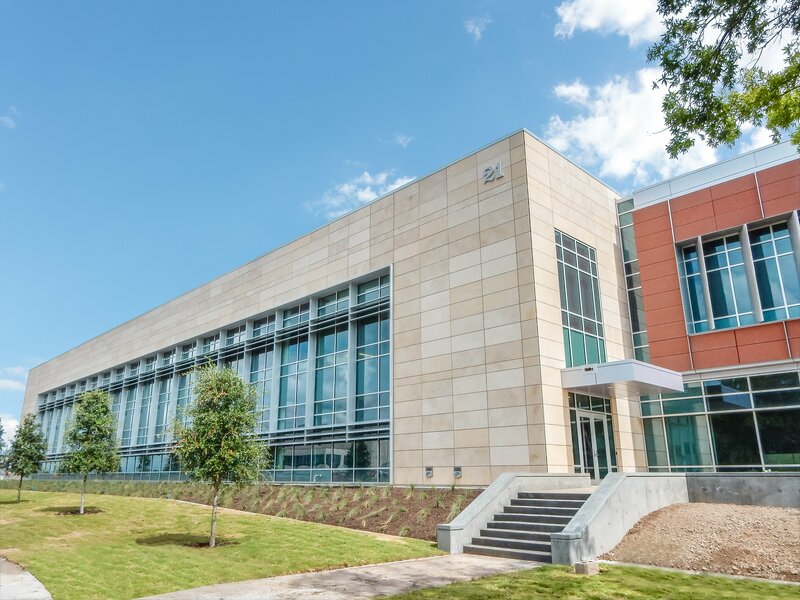 Everything about NASA's new biomedical laboratory is cutting edge: from the window shades that automatically orient themselves to provide optimal, glare-free light, to the research into human longevity amongst the stars, to the choice of hurricane-defying, natural stone cladding. 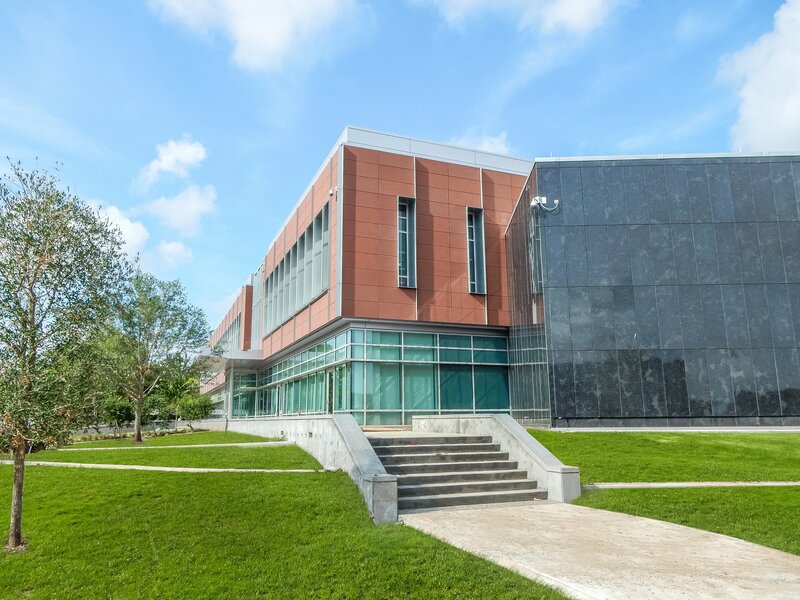 NASA chose to use StonePly to clad 25,000 square feet of their facility's exterior with a Mars-mimicking Red Sandstone, an elegant Anhara Black Granite, and a local Texas Cream Limestone. According to Joel Walker, the director of Center Operations at Johnson Space Center, "Two architectural-ish things I like? The north side wall is covered in contrasting black glossy and flat black stone, design to mimic a DNA sequence." 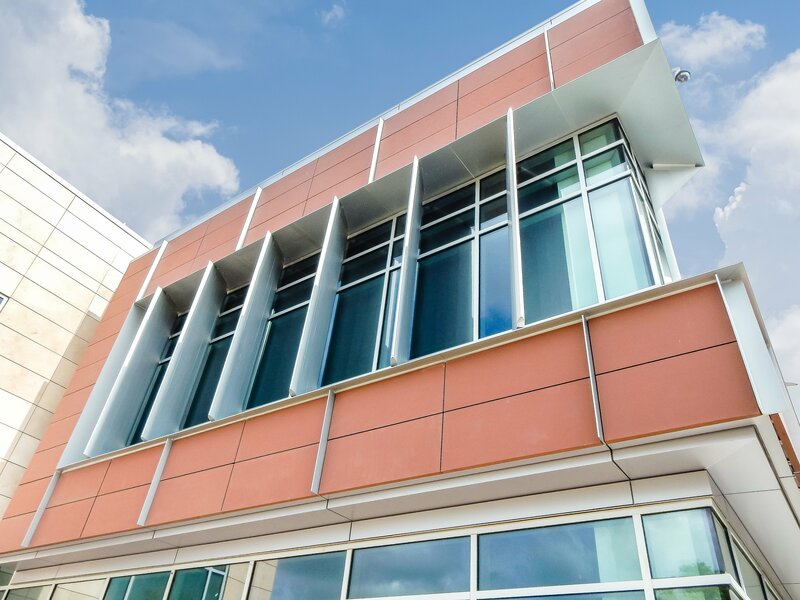 StonePly is happy to have contributed its LEED certification expertise, and the laboratory is expected to receive a silver LEED certification. It's safe to say that Building 21 is future-proof aesthetically, structurally, and environmentally.